#WilliamHunter (1899-1963) is an artist listed in two countries. He was born on the Isle of Mann (Scotland) but emigrated to Australia when he was eleven. So William Hunter is listed both in Scotland and Australia. There is little information on William Hunter online but he seems to have specialised in etching with aquatint. 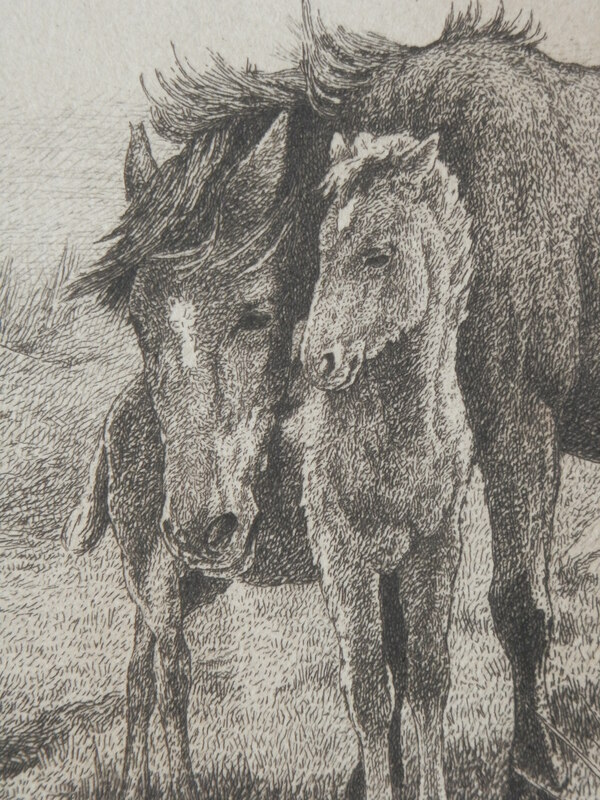 I have called this image ‘#Brumbies with Foal’. There is no title to be seen. It is signed lower right. The sheet has been glued to the matte (title may be behind matte and there is no number for the run or sheet). I have not found this image on line yet. The #etching is of sublime quality. the line, hatching, and stipple etching are combined to a superb end. There is no aquatinting in regards to this print. 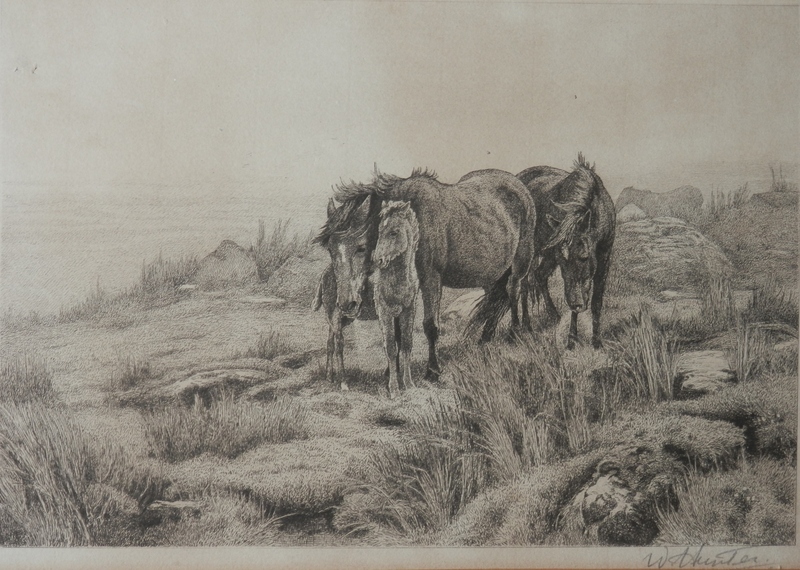 Finesse, lightness of line, exactness of image resulting in a beautiful etching. He truly deserves to be better known. 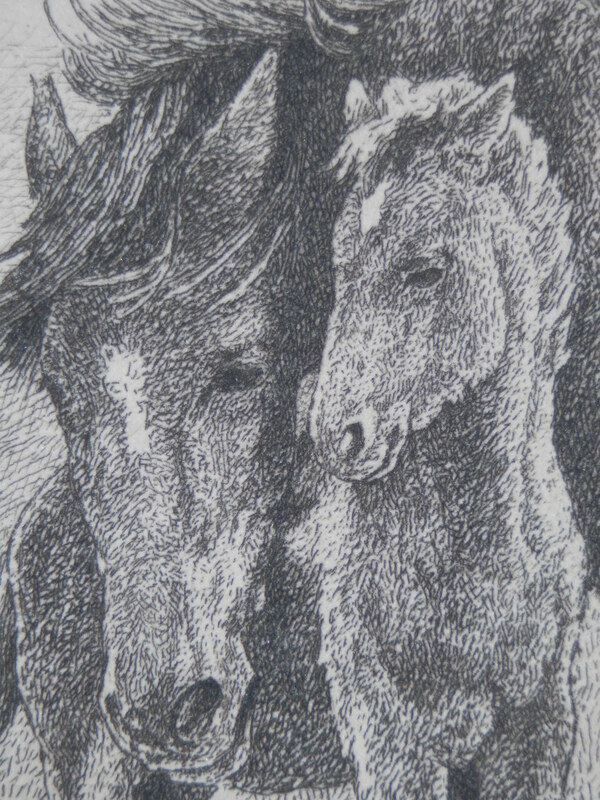 This entry was posted in Etching and tagged Australia, brumbies, William Hunter. Bookmark the permalink.